This Salmon Croquette Recipe, an African American and southern food favorite is simple and easy to prepare. Depending on your family history, salmon croquettes have several other names including salmon patties, salmon cakes and salmon patty. The names may be slightly different but one thing remains the same they're delicious. In my opinion this is an old school recipe, as such, this is not something my other family members eat because they have not acquired the taste like me. This entree is popular among southern families because canned salmon is inexpensive. 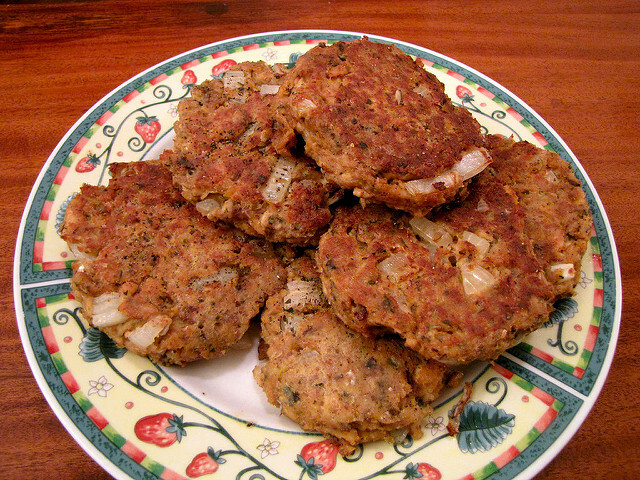 You could find salmon croquettes on southern tables during breakfast and dinner meals. Let me introduce you to a very quick and easy croquette recipe that uses the simplest of ingredient including canned salmon, onions, eggs, corn meal, and fresh ground pepper. This is one of those recipe that you can find yourself eating anytime during the day. I've had this recipe for breakfast on a few occasions, but for the most part this is something I would eat for dinner. Look for some serving suggestions for your salmon croquettes? You can serve potato pancakes, grilled or steamed vegetables, fresh salad, or anything else you have a desire for. Okay, get the ingredients then cook yourself a good homemade meal. And when you finish, come back here and leave us a review. Tell us what you think about the recipe..did you like it, love it, improve the recipe? Whatever you decide, we want to know what you think.